Beat cold conditions with safe and environmentally friendly Hand Warmer Fuel Sticks when used with the Hand Warmer to provide you with a warm glow on the coldest of days. Ideal for cold weather and/or arthritic fingers. 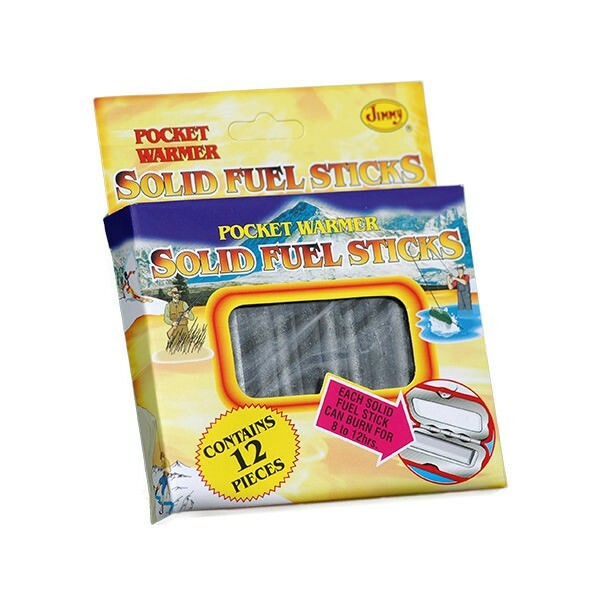 Packet of 12 sticks, Hand Warmer with pouch sold separately. Together they provide long lasting instant heat.